Casino Boy here. I'm your guide to Las Vegas on the cheap. Look around, check out the hotels and casinos. We give it to you straight. We won't give you fluff fed to us by the hotels. Las Vegas is one of the most exciting cities in the world, but travelers aren't usually excited to see the bill. With many luxury hotels in Las Vegas, captivating headliner shows, exciting Vegas events and several nightlife venues to choose from, a vacation to Vegas can leave your wallet pretty light. Luckily for you, your Cheapo Vegas source, Casino Boy, is dedicated to giving you the full truth and nothing but the truth about all of the best and worst things to do in Las Vegas. Casino Boy knows it's important it is to save money for the best Las Vegas attractions, and not waste time or hard earned cash. Even better, Casino Boy has the scoop on Las Vegas hotel deals and discounts so you can enjoy the best Las Vegas has to offer for a cheaper price than the suckers out there. Cheap Las Vegas hotels are not as hard to find as travelers think. If you're like Casino Boy, you really just need a place with clean sheets, a bathroom and floor space for your drunken buddies. There are plenty of budget joints and luxury crash pads in Sin City! Of course, if you spend more than a 2-hour nap in your room between rounds of craps, you might be interested to find out about the great value discount rooms Las Vegas offers. Plus, Casino Boy has the hook-up on the best Las Vegas Coupons 2017 - that is, if you like 2-for-1 drink specials, free moneyplay and buy one, get one show tickets. You do like these things, don't you? One of the coolest parts about a trip to Vegas is you can find amazing Las Vegas hotel promotions that will knock down room rates and let you pretend you're way richer than you actually are. Casino Boy can show you how you can stay in the most luxurious hotels on the Vegas Strip and get Cheapo prices for them! Or check out great Las Vegas hotel packages and you can get free entry to unleash the beast and embarrass yourself at lounges and bars, tickets to shows, or even discounted tee times at Las Vegas golf courses! Looking for a cheap Vegas hotel deal? The trick to choosing a Las Vegas hotel is to know exactly what kind of Vegas vacay you are hoping for. Is this a sloppy, don't remember the last three days kind of trip, or a family vacation full of priceless memories? Yuck. Some hotels are great for families but might make some people (read: Casino Boy) get frustrated by the number of kiddies underfoot. Other hotels aren't much to look at but pack a huge bargain. Or you could find a hotel that is ideal for party-goers but not so great for leisure time. 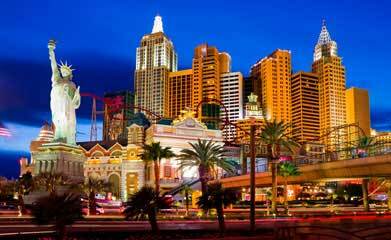 And while the most luxurious hotels in Vegas might cost you a paycheck or two, it can definitely be worth it when you find Las Vegas coupons. Cheapo Vegas has everything you need to know about Las Vegas hotels so you can always make the right choice before booking, and we don't pull any punches. Hard Rock Hotel Las Vegas: The Hard Rock Hotel Las Vegas is one of the most happening places on the Vegas Strip. If you're looking for a whirlwind of a vacation replete with scantily clad pool goers, amazing live music and a generally killer vibe, then the Hard Rock Hotel Las Vegas is for you. Don't miss out on one of the live shows at The Joint and the weekly pool party Rehab which takes place every Sunday. Palms Casino and Resort: The Palms is a classic Vegas hotel that Casino Boy loves to party at for its two bumping night clubs: Ghostbar and Moon. Nightlife is what it's all about here at the Palms, so if that's your goal then this is your spot. The Palms doesn't have the most prime location on the Las Vegas Strip, but that doesn't make it any less of a popular destination for travelers looking to let loose in Vegas! Caesars Palace Las Vegas: You probably know Caesars Palace from a little movie called The Hangover! Caesars Palace is a great, semi-affordable option for those looking to get rambunctious in Las Vegas. The marble hallways scream luxury and so do the patrons who frequent Pure nightclub! Bacchanal Buffet at Caesars Palace: Yes, we did just tell you to stay away from buffets but the Bacchanal at Caesars Palace is a huge exception. This buffet on the Vegas Strip is NEW and doing it big... they've been recognized by several publications as being one of the premier buffets on the Strip. Fill up for breakfast, lunch or dinner anyday of the week at Bacchanal Buffet. Zarkana Las Vegas: Cirque du Soleil wows crowds across the globe each night with their defying feats of human capabilities. Their Las Vegas show, Zarkana at the Aria Las Vegas, is one of their best and can be seen this season in Las Vegas! Don't miss out on room and show packages which make seeing Zarkana in Vegas more affordable. Blue Man Group: The Blue Man Group put on quite a show... pounding musical scores, stunning visuals and a silent cast make this show one of the best in Vegas. The Blue Man Group recently moved their show back to the Monte Carlo Las Vegas and promoted it by parachuting near the Strip! There's no questioning the group's showmanship. Live Concerts: Las Vegas has experienced a recent resurgence in popularity among high-profile musical acts. Vegas has a concert to offer fans of any music genre! Posted by nordon on 11/5/16.